Under the spurious claim of protecting “civility,” the University of Illinois at Urbana-Champaign has caved in to the McCarthyite bullying of the Israel lobby. In early August, Inside Higher Education ran a story that sent a shock wave through the academy. It reported that at the University of Illinois at Urbana-Champaign, an official offer of a tenured professorial appointment had been rescinded by a top administrative officer. That alone would have been unusual, but concerns grew after sources close to the decision-making process reported that Chancellor Phyllis Wise was responding to calls and e-mails about Professor Steven Salaita’s acerbic and emphatic anti-Israel tweets. Once scholars heard of this, protests erupted. Within hours, nearly 2,000 signatures were gathered criticizing the decision; now the count is 17,000, and 3,000 professors are now boycotting UIUC. The American Association of University Professors issued a statement declaring that social media expression is private and protected speech, and that the use of “civility” as a litmus test—which the university now admits it has done in rescinding the hire of Salaita—is also not acceptable. The former is protected by the First Amendment, and the latter is not only an entirely vague and unmeasurable concept, but denying employment based on an alleged lack of “civility” narrows the wide range of expression and opinion upon which universities and colleges rely. Disrespectful and demeaning speech that promotes malice is not an acceptable form of civil argument if we wish to ensure that students, faculty and staff are comfortable in a place of scholarship and education. If we educate a generation of students to believe otherwise, we will have jeopardized the very system that so many have made such great sacrifices to defend. There can be no place for that in our democracy, and therefore, there will be no place for it in our university. There are three important issues to be considered here—and each one reveals the weakness and duplicity of the trustees’ decision. As we move through them, we see that this case reflects two disturbing trends: a campaign to silence critics of Israel, and the undermining of faculty governance at American universities in favor of corporate control. Thus the very founding premise of the UIUC board’s decision is disarmed by the DOE finding. Had it cared to, the board might have investigated the history and results of such complaints. But it had other priorities. Second, a review of Salaita’s teaching evaluations at Virginia Tech, a standard part of any hiring process, reveals absolutely no evidence of intimidation, threats or stifling of student opinion. None. Instead, the record shows strong and enthusiastic appreciation of Salaita’s teaching and interactions with students. According to this report, the student evaluations for Salaita are spectacular. Repeatedly, he is given near perfect “excellent” scores for “knowledge of subject”; the lowest rating he ever receives in the “excellent” category for “overall rating” is 86 percent. It is especially important to note student evaluations of Professor Salaita in the category of “concern and respect” for students. Here too the evaluations are near perfect. The worst score was in a class of 28 students. Twenty-five rated him “excellent,” two “good,” with one no response. Hence the trustees’ decision is based entirely on a hypothetical connection between his allegedly offensive tweets and his potential to harm students. If we assume they discharged their duty and actually read Salaita’s file, then they clearly dismissed positive evidence and plowed ahead toward a pre-determined conclusion. But even if they did not discharge their duty and read the file, why did they not at least bother to convene an investigatory committee? Here we get to the third issue, which takes us out of the area of stifling criticism of Israel and into much broader, and troubling, territory. 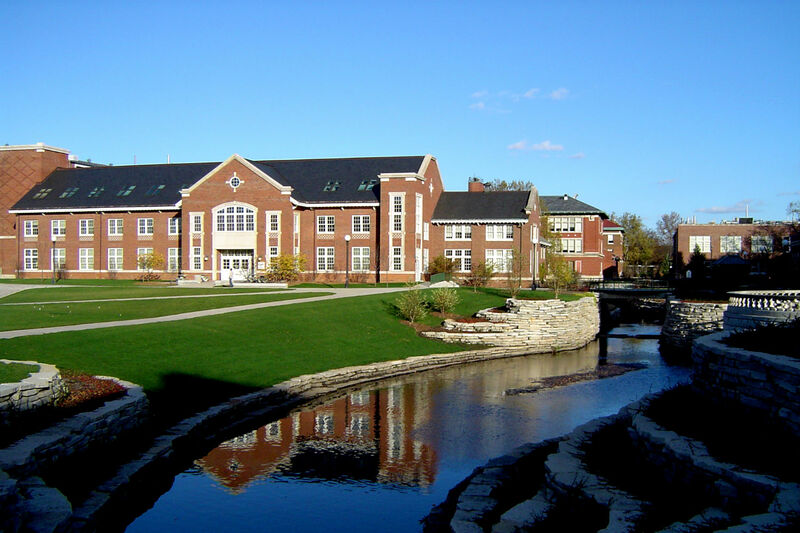 The chancellor and board of trustees at UIUC have broken a basic covenant with their faculty. It is a complete misnomer to call this a “university” decision. These administrators may act “on behalf” of the university, but they are not the university. And in acting on behalf of the university, it is customary for there to be regular interaction among faculty, administrators and boards of trustees. Faculty governance is the mainstay of the educational process. Faculty are in charge of what goes on in the classroom and who is hired to teach. All hiring decisions are driven by the faculty, and all candidates go through a rigorous process of vetting by a number of faculty committees. Administrators do precisely that—they administer, and should act on faculty appointments only if they determine there has been a flaw in the process. In the case of dismissing a faculty member, the statutes of the University of Illinois mandate that an investigatory process be followed: “Campus procedures shall include, at a minimum, notice and opportunity for a hearing before the campus provost or equivalent officers or the provost’s or equivalent officer’s designee.” There was absolutely no hearing in this case. It is a matter of debate whether or not Salaita was actually an employee of the university (he had been offered and had signed a contract, but the chancellor voided it). Nonetheless, this stipulation shows the consultative spirit that the chancellor and board of trustees disregarded. Boards of trustees act to protect overall institutional health; this means they are entrusted with the long-term existence and viability of the university. In this case, the board made a corporate, top-down decision about the educational mission of the university without consulting the faculty. As this decision is entirely undemocratic, it is hard to swallow the board’s avowal of commitment to democracy. It is a troubling reality that university boards of trustees are acting more and more along the lines of the Illinois board. It is critical to note that many trustees have no background in higher education. They are there primarily to safeguard and grow the endowment—their responsibility is fiduciary, not educational. In these days of diminishing federal research support—especially for public institutions, like the University of Illinois, with strained state budgets—corporate boards with deep pockets and good connections are deemed necessary. But what is startling about the Salaita case is that the board let its protection of the bottom line completely overshadow the university’s educational mission. How much did all this pressure influence the chancellor? We can’t know for sure, but there is good reason to believe that it made some difference. Maybe we shouldn’t be surprised at this, but that does not mean we should not be outraged. Two things you can easily do are to join 17,000 others and sign the petition demanding Salaita’s reinstatement, and donate to his support fund (click on the PayPal button to the right to donate). What is especially “malicious” in all this (to use the board’s language) is the chancellor’s and the board’s utterly cynical evocations of “human rights” and “democracy” in an act that has stripped Steven Salaita of his rights in the most venal, undemocratic manner possible. Precisely in times of crisis, we need an open and uncensored space for debate. To disingenuously and cynically evoke the “harm principle” in flagrant disregard for the facts, to pre-emptively base silencing of critics on hypothetical possibilities of harm and to subordinate faculty governance to outside pressure and financial gain show a clear abuse of trust by the university’s trustees. David Palumbo-LiuTwitterDavid Palumbo-Liu is the Louise Hewlett Nixon Professor at Stanford.